While most of the country gets health coverage through their employer or through government programs, over 10 million people need to purchase plans through the marketplaces created by the Affordable Care Act, or Obamacare. After months of back-and-forth over the Affordable Care Act in 2017, consumers became confused about when, where, how -- and if -- they could get coverage. The three month window for open enrollment was cut in half for the 42 states without their own marketplace. The rest, including New York, control their own marketplace and determined how they would accept applications for 2018 health insurance. 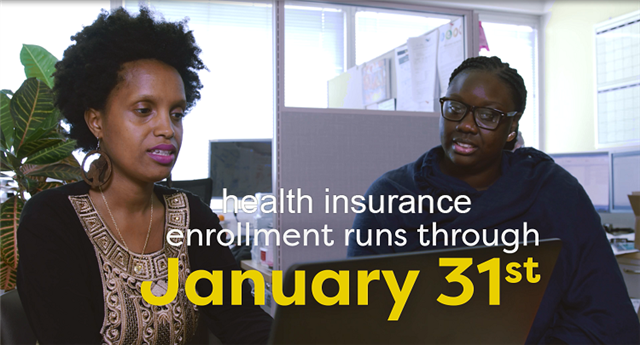 In New York, the same deadline remained the same as previous years, January 31, but the widely publicized federal changes had many thinking they were unable to enroll after December 15. To help clear up the confusion, BCHN produced a series of Public Service Announcements that were shared via social media. The clips, which range from 15 to 25 seconds long, were shot in English, Spanish and Fulani. 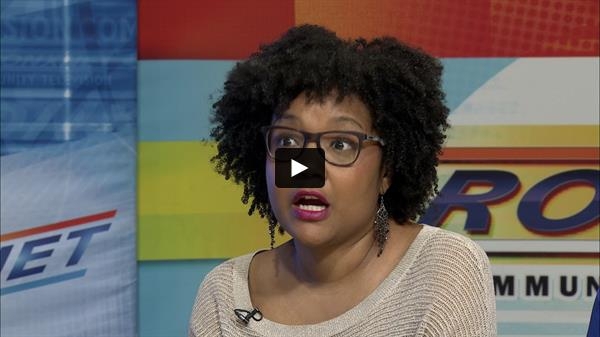 To help promote the PSAs and BCHN's community health and wellness programs, community health programs developer Renee Whiskey and community health worker supervisor Patrizia Bernard appeared on BronxNet's OPEN. Check out their recent appearance below. BCHN spread holiday cheer to three organizations this year, collecting gifts for the seniors at Bay Eden Senior Center, toys for the kids of Argus ACCESS Program patients, and donations for Highbridge Community Church's Angel Tree campaign. 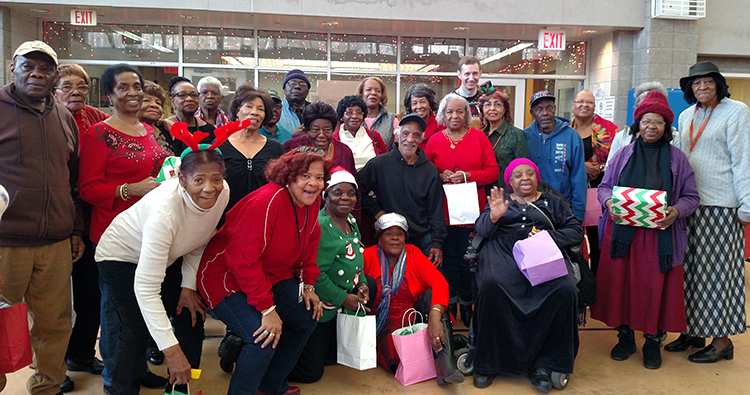 On December 20, BCHN handed out gifts during Bay Eden Senior Center's annual holiday luncheon. Pictured above with the seniors are Board member Robin Bethea and public relations specialist Roger Newcomb. BCHN held its monthly board meeting on December 19, which included a holiday dinner with the entire staff. 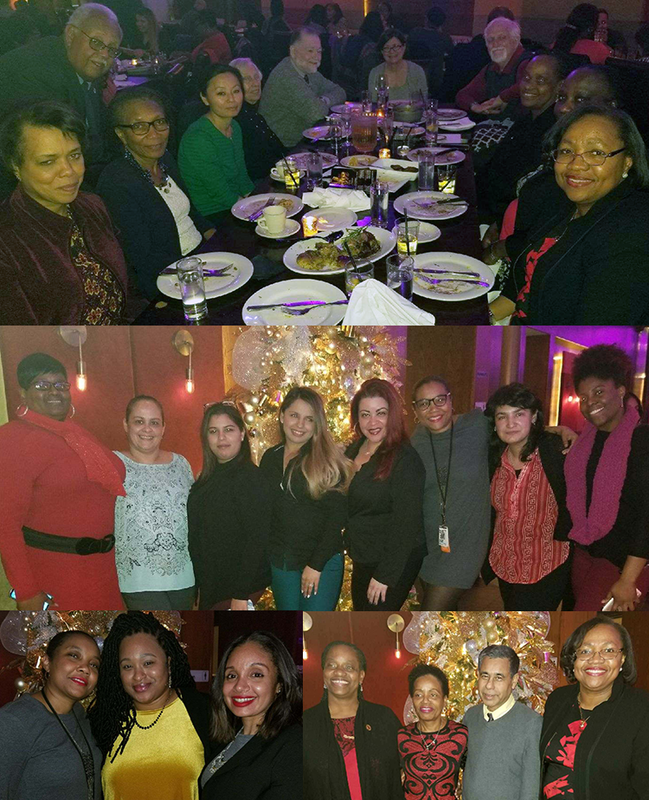 The Board of Directors, Advisory Council, Executive Team, Associates and guests gathered at Sofrito for an evening of good times, camaraderie and much holiday spirit. 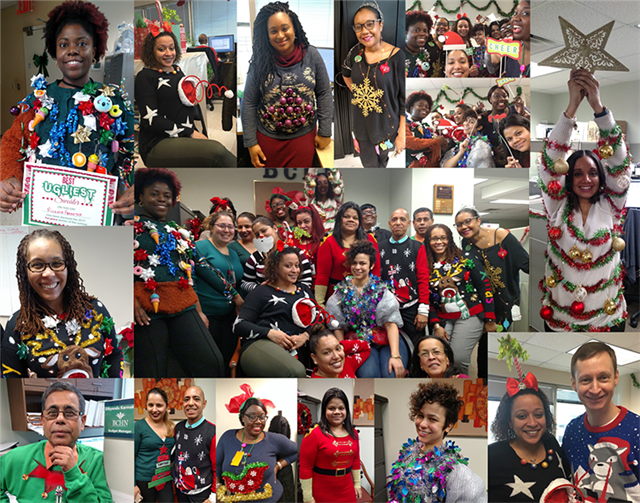 The BCHN offices were full of holiday spirit on December 22 for the annual Ugly Holiday Sweater Contest. Community health worker Michelle Forrester took home the prize for ugliest sweater (see top left to find out why). Damaris Perez Agu (top right) was awarded most creative. Much fun was had by all. 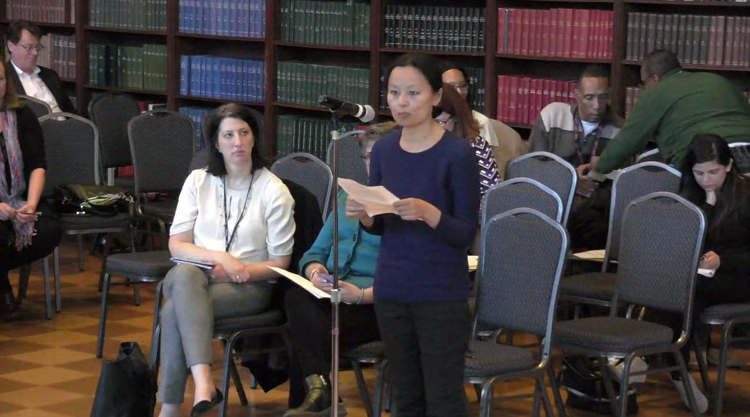 BCHN director of programs Tashi Chodon provided testimony at the 1115 Waiver Public Comment Day (Downstate), to discuss how BCHN has partnered with Delivery System Reform Incentive Program (DSRIP) partners like the Bronx Partners for Healthy Communities (BPHC) to address chronic disease. She also spoke about the use of community health workers to address social determinant of health needs and chronic disease management through integration into health centers and in the community. You can watch an archived stream of the event here. 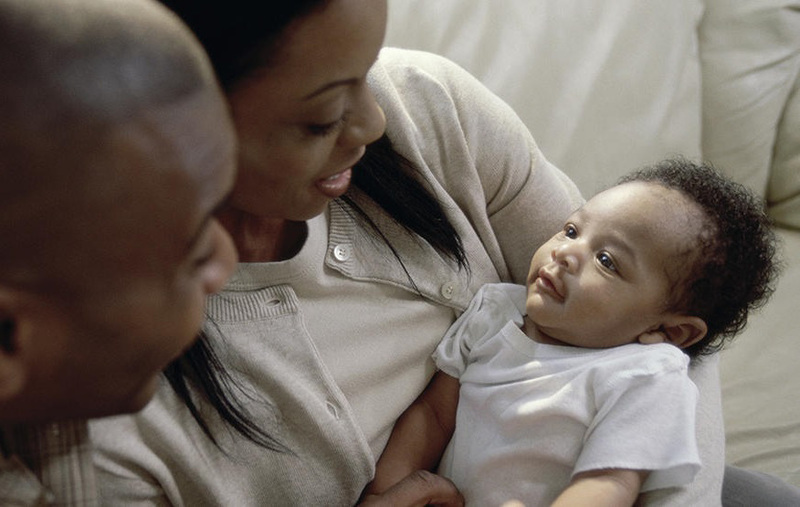 New families need so much support in those early weeks and months, and BCHN's Healthy Start team is using their skills to help them get off to a great start. In early January community health workers Sherllay Castro and Patricia Kimber recently completed the Brooklyn Perinatal Network Postpartum Doula Certification training, which is sponsored by the Healthy Women/Healthy Futures (HWHF) program. The training process included education in various postpartum topics such as breastfeeding, business, postpartum mood disorders and more. 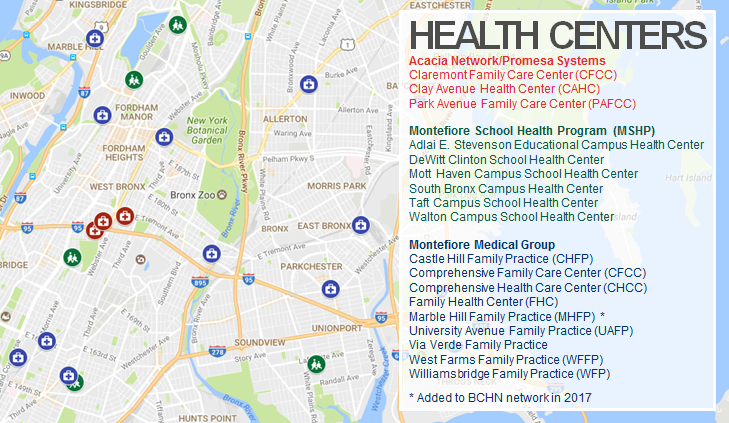 BCHN is collaborating with The Bronx Health Link on a tw0-part workshop (Breastfeeding/Safe Sleep + Maternal Mental Health) at Family Heath Center, 1 Fordham Plaza, 5th Floor Group Space. The workshops are scheduled for Thursday, January 25th (11:30 AM to 1:30 PM) and Tuesday, January 30th (10:30 AM to 12:00 PM). For the latest news and events, check out our website at bchnhealth.org, and be sure to follow BCHN on our social media networks. 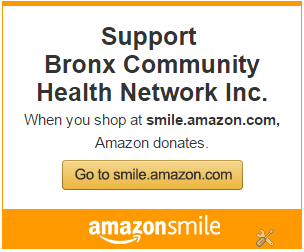 You are receiving this email because of your relationship with Bronx Community Health Network. Please reconfirm your interest in receiving emails from us. If you do not wish to receive any more emails, you can unsubscribe here.